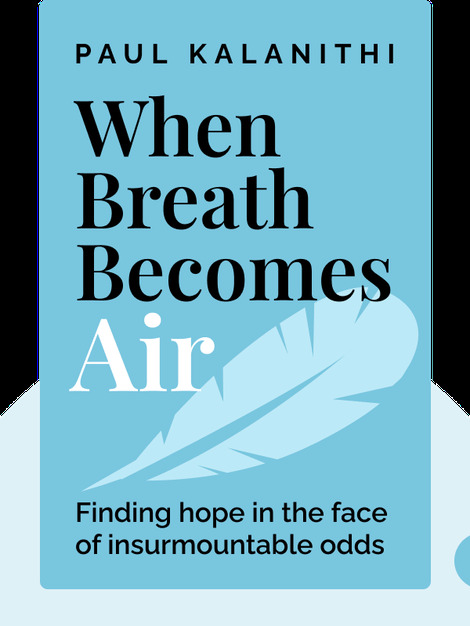 When Breath Becomes Air (2016) tells the incredible story of Paul Kalanithi, a neurosurgeon and neuroscientist who was diagnosed with and died from cancer in his mid-thirties. These blinks detail his extraordinary journey in search of the meaning of life in the face of death. 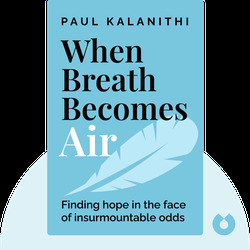 Paul Kalanithi was an Indian-American writer and award-winning surgeon. He attended the Yale School of Medicine and completed his residency at Stanford University.